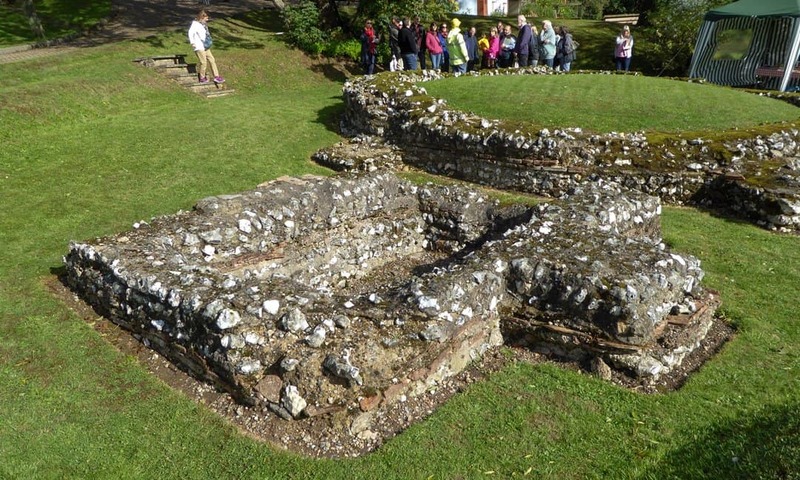 On a sunny day in September 2018 Ethan had the rare chance of visiting the Roman tombs in the village of Keston, in the south east of Greater London. Not a large site by any means, but unique and interesting nonetheless. A large circular tomb with six radiating buttresses (Tomb 1). When we think about the Romans in Britain, we often think of the way that they lived, with their palatial villas and imposing border forts. We spend less time thinking about the way that they died, and how their society commemorated the dead. However, like any other society, the Romano-Britons found ways of memorialising those they loved or revered. In the leafy suburb of Keston, along Greater London’s southern border with Kent, is found one of the most interesting Romano-British sites in the country. The Keston Roman Mausoleum consists of three visible tombs established in the 3rd century AD. Two of them are comparatively small, but the third – known as Tomb 1 – is a substantial, circular structure measuring nearly 9 metres across and probably would once have stood 5 or 6 metres tall. Plaster fragments recovered during excavation suggest that the building was painted bright red, meaning that it would have looked quite striking on the green rural landscape. Around 16 other graves are known to have clustered around this central structure. The mausoleum likely served the nearby villa; although this structure has been excavated, archaeologists reburied it to protect the precious remnants and none of it remains on display today. A smaller rectangular tomb (Tomb 2). At some point, the villa and mausoleum fell out of use and were buried beneath the earth. At least one Anglo-Saxon sunken-feature building was erected nearby, suggesting at least some continuity of use of the site into the early middle ages. The Roman buildings were only rediscovered in the 18th century, when labourers dug up a stone coffin from within Tomb 2. Although some antiquarians were aware of its origins, the coffin was soon being used as an agricultural trough to feed livestock; it was later heavily damaged during a bombing raid in World War II. In 1967, a local archaeology group began a fuller excavation at the site, a project that continued in various forms until 1992, revealing far more about both the mausoleum and the adjacent villa. 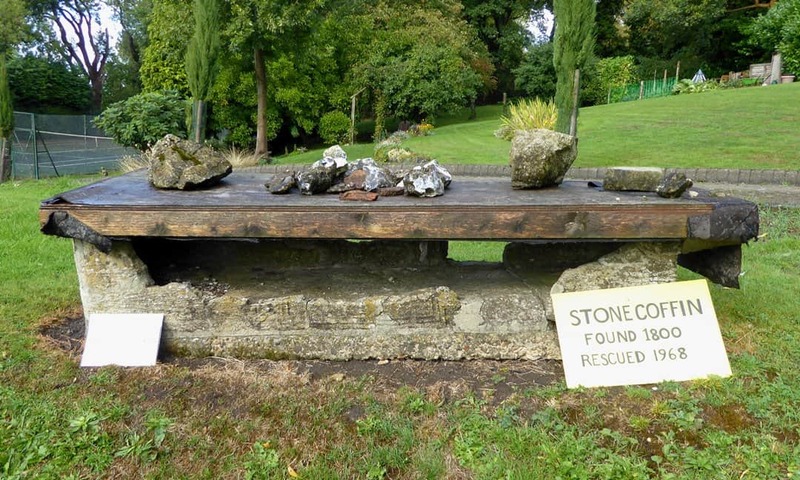 The Roman stone coffin discovered by labourers in about 1783. The tombs are presently located in the back garden of a large, early 20th century house and are not visible from the adjacent Westerham Road – although a bird’s eye view can be obtained thanks to Google Maps! Unfortunately, the site is not accessible on a daily or even regular basis, but open days are occasionally held to enable curious visitors to explore the site. On a recent visit, I found that the archaeologist Brian Philp and others from the Kent Archaeological Rescue Unit were giving guided tours, but with the closing of the Council for Kentish Archaeology this year it is unclear who will oversee such open days in future. For those interested in visiting, it is a case of keeping your eyes peeled to see when it will next be open. The open day is usually part of the Open House London programme, the programme for 2019 will be released in August 2019. While in the area, why not take a walk across the heavily wooded Keston Common? As well as being a haven for wildlife, the Common boasts a number of sites with historical or archaeological interest, including a putatively prehistoric linear earthwork and an ancient spring known as Caesar’s Well. It is also home to a 19th century engraved stone chair marking the spot where William Wilberforce reportedly sat when he formulated his ideas for ending slavery in the British Empire. An Iron Age hillfort known as Caesar’s Camp also borders the common, although is unfortunately located on private property and not presently accessible to archaeological explorers. Keston Common has a car park geared up for visitors, and this is the best place for those visiting the Roman tombs by car to leave their vehicle. There are not many Roman sites accessible in the Greater London area. The Guildhall Amphitheatre and the Mithras Temple, both in the City of London, perhaps stand out as being of particular importance, while the Museum of London has a rich array of Romano-British artefacts on display. 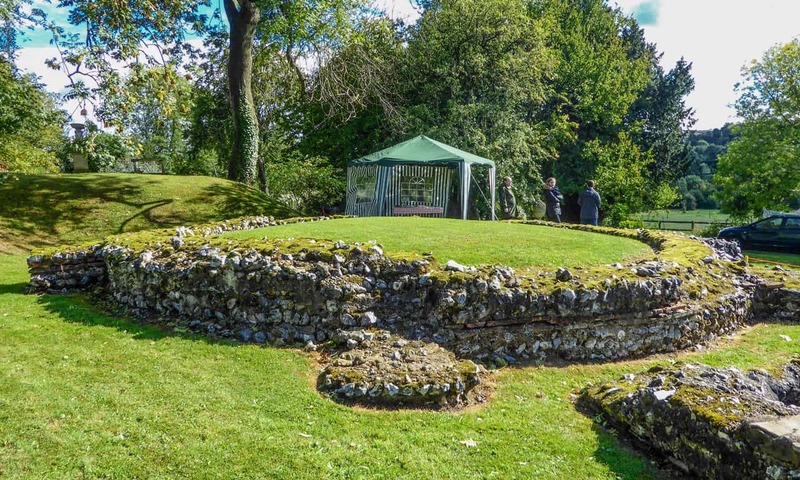 As well as the Keston Roman Mausoleum, in the London Borough of Bromley there is also home the Crofton Roman Villa – a small structure perhaps best reserved for locals and keen Roman enthusiasts. Several miles into Kent, but still within easy reach of London, can be found Lullingstone Roman Villa, a much more substantial site. It is this comparative dearth of sites that helps to make Keston Roman Mausoleum special. As well as being unique in the Greater London area, it is also a very rare survival of such an impressive Romano-British funerary monument. Although not easily accessible, those who manage to do so will be richly rewarded. PreviousAre Exmoor’s Tarr Steps the Work of the Devil? NextBuying Historical Gift Experiences: Heritage & Experiences are Terrific for our Well-Being!